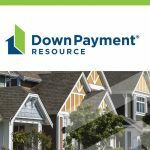 The July edition of “The Down Payment Report” features an interview with NCSHA Executive Director Stockton Williams and coverage of HFAs meeting the demand for down payment assistance in their states. The Hardest Hit Fund (HHF) program was established in the wake of the Great Recession to assist struggling homeowners and communities in states disproportionately impacted by foreclosures and unemployment. Senate Banking Committee member Elizabeth Warren (D-MA) introduced today legislation, the American Housing and Economic Mobility Act, to authorize $500 billion for affordable housing programs over the next 10 years. Private activity bond (PAB) issuance increased at least nine percent from 2016 to 2017, according to the Council of Development Finance Agencies’ (CDFA) latest Annual Volume Cap Report for 2018. Representative Tim Ryan (D-OH) recently introduced legislation, the “Clean Up Our Neighborhoods Act” (H.R. 6792), that would provide federal funding to support blight elimination and neighborhood redevelopment activities in low-income communities. The California Housing Finance Agency has received further accolades from the Government Finance Officers Association (GFOA) of the United States and Canada. The GFOA bestowed the Award for Outstanding Achievement in Popular Annual Financial Reporting on CalHFA in recognition of its first-ever submission for a Popular Annual Financial Report (PAFR). Joined by U.S. Senator Jack Reed and Providence Mayor Jorge Elorza, RIHousing and Omni America hosted a groundbreaking ceremony on Friday morning, September 14, for the renovations taking place at Barbara Jordan I Apartments. North Dakota Housing Finance Agency (NDHFA) is helping households with poor credit, a history of evictions or a criminal record to secure housing. © 2018 National Council of State Housing Agencies. All Rights Reserved.